Across the country, zombie wannabes in tattered clothes occasionally fill local parks, gurgling moans of the undead. Zombies seem to be everywhere these days. 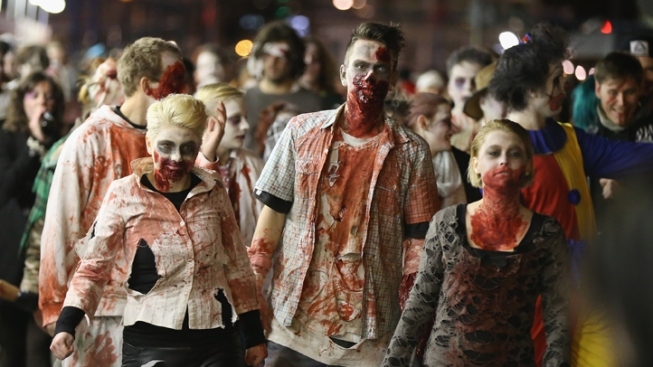 As of last year, Lauro said, zombie walks had been documented in 20 countries. The largest gathering drew more than 4,000 participants at the New Jersey Zombie Walk in Asbury Park, N.J., in October 2010, according to Guinness World Records.